Description: To Have and Have Not is the dramatic, brutal story of Harry Morgan, an honest boat owner who is forced into running contraband between Cuba and Key West as a means of keeping his crumbling family financially afloat. His adventures lead him into the world of the wealthy and dissipated yachtsmen who swarm the region, and involve him in a strange and unlikely love affair. 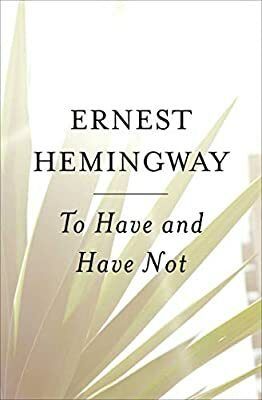 In this harshly realistic, yet oddly tender and wise novel, Hemingway perceptively delineates the personal struggles of both the "haves" and the "have nots" and creates one of the most subtle and moving portraits of a love affair in his oeuvre. In turn funny and tragic, lively and poetic, remarkable in its emotional impact, To Have and Have Not takes literary high adventure to a new level. As the Times Literary Supplement observed, "Hemingway's gift for dialogue, for effective understatement, and for communicating such emotions the tough allow themselves, has never been more conspicuous."